Apple is expected to launch new iPads later this month -- perhaps using the same timeline as last year, when it revealed the original iPad Mini on Oct. 23, 2012 -- with refreshed full-sized 9.7-in. devices as well as updated Minis, which would presumably sport the same 7.9-in. display used in the first generation. While rumors of an iPad Mini with a so-called "Retina" display -- a high-resolution screen to match the sharpness of the full-sized sibling -- have waxed, waned and now waxed again, the current chatter has the tablet on stage this month when Apple hosts its inevitable launch event. The problem, according to Reuters today, is that supplies of the iPad Mini Retina will be seriously short, with sales either constrained by limited quantities or, worst case for Apple, pushed into early 2014. If that's true, then Apple is facing a decision: Launch the iPad Mini with Retina anyway, or hold it for another time. The former risks a repeat of a 2012 fiasco, the latter means missing the very important tablet sales season around the holidays. Last year Apple introduced redesigned iMacs in both the 21.5-in. and 27-in. screen sizes that were significantly thinner at their edges, came sans an optical drive -- a first for the desktop system -- and offered the option of a "Fusion Drive," which combined flash storage with a standard platter-based hard drive. But Apple had none to sell. It was atypical of the detail-oriented company to reveal a product, defer shipping for weeks or more than a month, not accept pre-orders from customers, and at the same time withdraw the just-superseded models from sales. Analysts queried by Computerworld at the time could not remember an earlier instance of such a blunder. Apple didn't begin taking iMac orders for more than a month, and even then told customers they would have to wait weeks for their computers to ship from factories in China. The larger 27-in. model did not reach customers until late December at the earliest, and except for the small number who got their orders in first, not until January 2013. It was March before the time between ordering and shipping fell to a relatively low one-to-three days. The debacle was part of the reason why Mac sales plummeted 22% in the fourth quarter of 2012. In an earnings call with Wall Street analysts in January 2013, CEO Tim Cook blamed the iMac shortages for some of the downturn, and warned that supplies might not match demand until well into the second quarter. Apple would face the same potential disaster this year if the iPad Mini with Retina was shown to the public, but put on the "do-not-sell" list. In fact, the impact would be greater, since the iPad contributes a much larger percentage of total revenue than does the Mac, and the iPad Mini has been the hottest seller in that line. But Apple would have a tough time not trotting out a higher-resolution iPad Mini, said Ezra Gottheil of Technology Business Research. "I think they may want to introduce the Retina [iPad Mini], even if supplies are very tight," said Gottheil in an interview today. 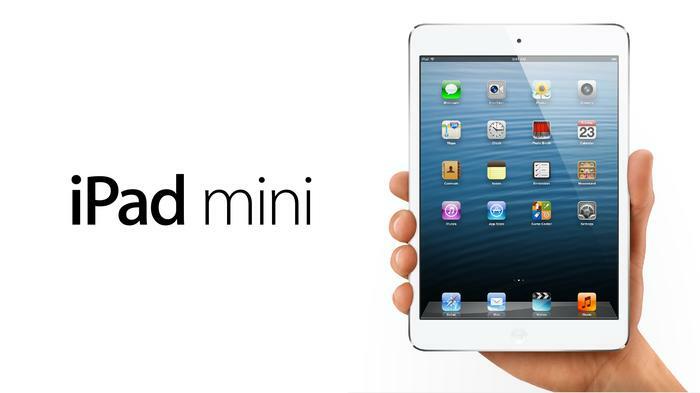 "As I see it, the important part of the product line is the non-Retina iPad Mini. Without introducing a Retina screen model, it would look odd to market the non-Retina. And it would be a difficult SKU to sell." That's because Gottheil, like most analysts, anticipates that Apple will retain the original at a lower price when the company does launch a Retina iPad Mini. Apple has used the same strategy for its full-sized iPad -- the firm still sells 2011's iPad 2, for instance -- and until this year, its iPhone line-up. "At US$249, the original iPad Mini would produce a real surge in sales, and put a real dent in the Nexus 7," said Gottheil, referring to Google's 7-in. Android tablet. "At US$299, it would still sell well. Their challenge right now is to bring down the price while still making its traditional margins." Apple would probably price a Retina iPad Mini at the same US$349 it now uses on the first-generation tablet, Gottheil noted, again citing precedence.